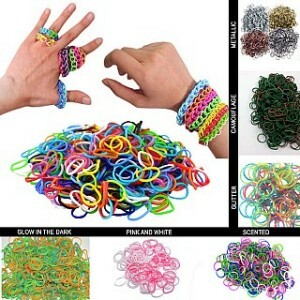 3000 Piece Loom Band Set Only $9.99 Shipped! You are here: Home / Great Deals / 3000 Piece Loom Band Set Only $9.99 Shipped! What a great deal! This is such a hot trend right now! Grab this 3000 Piece Loom Band Set Only $9.99 Shipped! Grab this deal for your kids now as a special treat for Valentine’s Day! Grab this and other great deals every day at 13 Deals! Tons of items with FREE Shipping!